Craft your next vintage with fresh grape juice! Juice is available by pre-order only, so make sure to get your orders in before the cutoff dates! 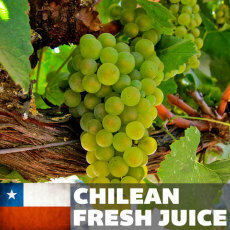 Now taking Pre-Orders for 2019 Chilean Juices! Fresh Barbera juice from Chile that has been perfectly acid and pH balanced, ready for you to ferment into world-class wine! This product is available for pre-order for in-store pickup only. Estimated availability date is early May. Fresh Merlot juice from Chile that has been acid and pH balanced, ready for you to ferment into world-class wine! This product is available for pre-order for in-store pickup only. Estimated availability date is early May. Fresh Pinot Noir juice from Chile that has been acid and pH balanced, ready for you to ferment into world-class wine! This product is available for pre-order for in-store pickup only. Estimated availability date is early May. 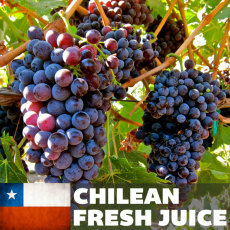 Fresh Malbec juice from Chile that has been acid and pH balanced, ready for you to ferment into world-class wine! This product is available for pre-order for in-store pickup only. Estimated availability date is early May.